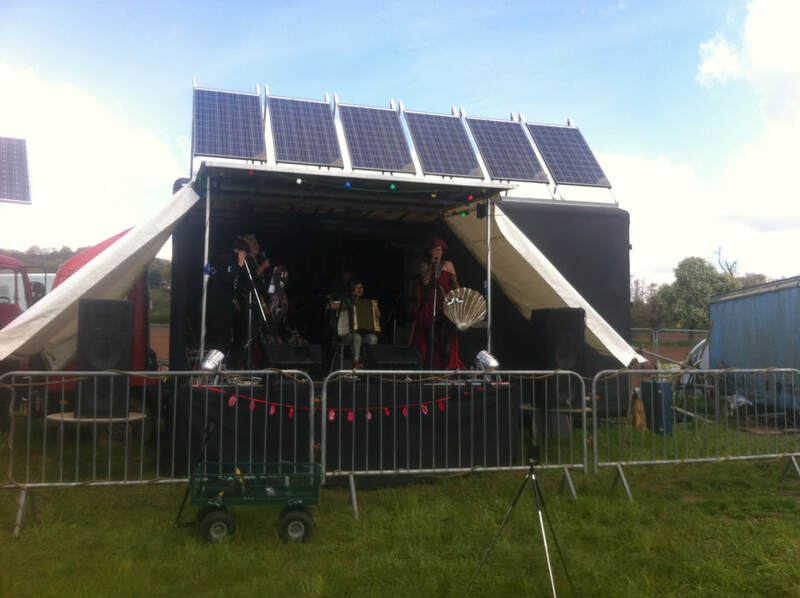 Mobile event stage, power system runs full PA (300-500 people open air), stage lighting and tea tent needs. Gail who runs the Something Else events booked us to help power her event in 2013 at an off grid site where the generator failed. We promptly arranged for another solar power provider to come to the rescue. From then on she became inspired by the capabilities of solar and 2 years later asked us to build her a solar system into a stage truck. 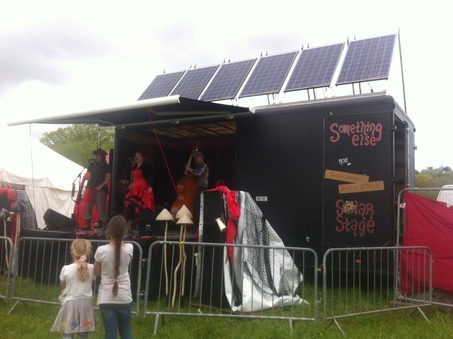 We collaborated with Gaz, the fabricator, to ensure a fully functioning solar stage. We still work alongside the stage truck at events but now Gail can power her own space at larger events and even hire it out for private functions.